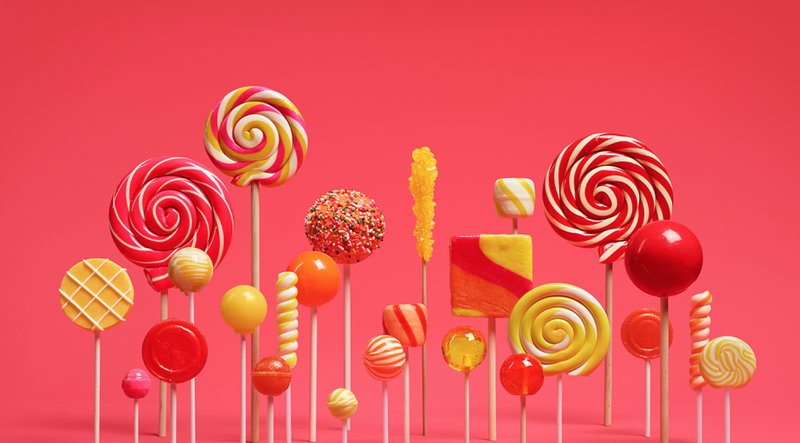 Sprint is on fire when it comes to updating devices to Lollipop. If the HTC One (M7) and the Galaxy S 5 wasn’t enough, how about the HTC One (M8) and the LG G3? 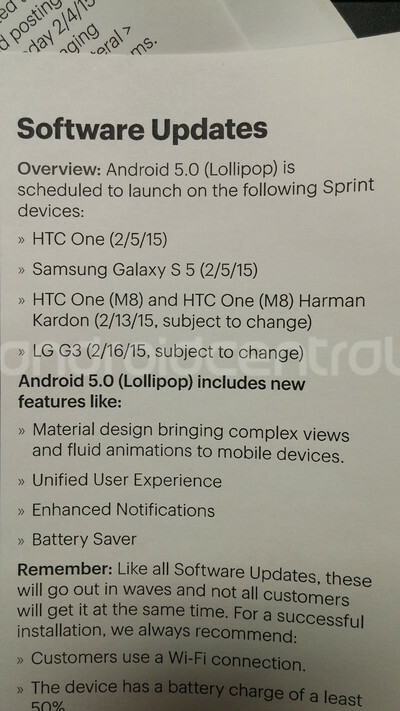 A leaked document shows that the HTC One (M8) will get Android 5.0 Lollipop on February 13 and the LG G3 will get the tasty treat on February 16. If you happen to own the Harman Kardon edition of the One (M8), don't fret, because it’s included in the update as well. Of course, it should be noted that “subject to change” is listed so if anything goes wrong with the final testing, Sprint will delay the launch. Let’s keep our fingers crossed.